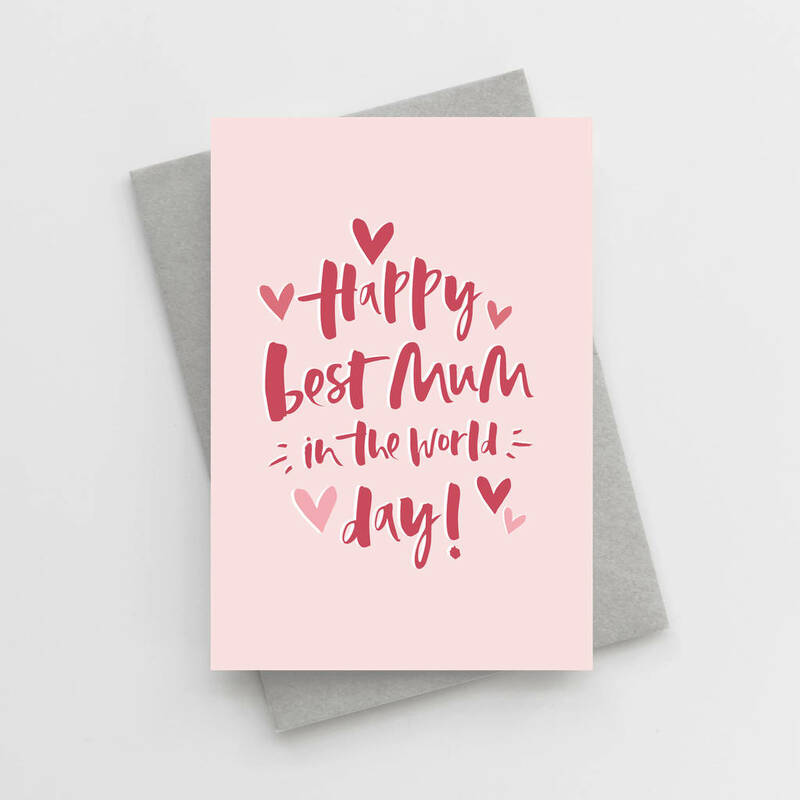 This Mother's Day card is hand lettered with the words ' Happy 'Best Mum in the World' Day' printed in deep rose on a soft pink background and makes the perfect card this Mother's Day. 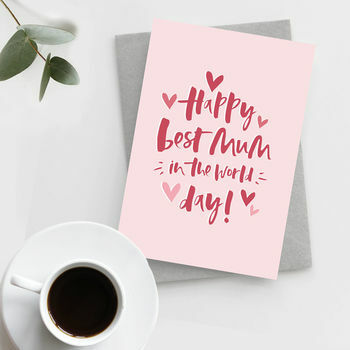 Our cards are printed on to luxuriously textured, FSC Certified, 350gsm card and teamed with a recycled 120gsm envelope. Each card is individually wrapped in a protective, biodegradable cello sleeve.